Norway is going to store the seeds of all known varieties of the world's crops deep in permafrost and inside a mountain on an Arctic island. This "doomsday vault" will be made accessible to all countries and is in anticipation of a potential Earth-wide catastrophe that could wipe out critical crops. The vault, which will be in the sandstone mountain on Spitsbergen (part of the Svalbard archipelago, about 966km from the North Pole), will be designed to withstand global catastrophes like nuclear war or natural disasters such as non-localized NEO impacts. Permafrost will keep the vault below freezing and the seeds will be protected by metre-thick walls of reinforced concrete, two airlocks and high security blast-proof doors. Seed collection is being organised by the Global Crop Diversity Trust. "What will go into the cave is a copy of all the material that is currently in collections [spread] all around the world," says Geoff Hawtin of the Trust. There are currently about 1,400 seed banks around the world, but a large number of these are located in countries that are either politically unstable or who face threats from the natural environment. "What we're trying to do is build a back-up to these," says Hawtin, "so that a sample of all the material in these gene banks can be kept in the gene bank in Spitsbergen." As a macabre aside, this sounds suspiciously like what could be a precursor to space-based gene-banks when life on Earth is no longer sustainable. Such a scenario was depicted in the 1971 film Silent Running. 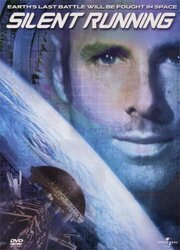 The movie depicts a dystopian future, in which all plant life on Earth is extinct and only a few specimens have been preserved in greenhouse-like domes attached to a fleet of eight American Airlines "space freighters" positioned just outside of the orbit of Saturn. Of course, now that we can create seed banks and store genetic information, the idea of space-based greenhouses seems like a rather quaint idea. I wonder, should we send our seeds/genetic info deep into space in hopes that ETIs find them? Hell, if we can't use them in the future either because we're extinct or the planet is uninhabitable, then at least somebody should get use of our diverse genetic heritage. Otherwise, what a waste that would be -- valuable genetic data that took billions of years to evolve by trial and error. But I have to wonder, what would they think of marijuana? Tags: Disasters, Gene Banks, Catastrophe, Existential Risks. LONDON (Reuters) - German scientists have discovered a new source of methane, a greenhouse gas that is second only to carbon dioxide in its impact on climate change. If global warming could be a culprit of such a disaster, hence needing the seed bank, what do we do now? If global warming could be a culprit of such a disaster, hence the need for the seed bank, what do we do now? 1. Conditions that will cause mass extinctions will persist for much longer than one season. Maybe mushrooms will thrive, as they love warm and dark conditions. Otherwise, the only other pizza topping available to us will be fossilized anchovies. 2. The survivors will have to travel to this island. We will be hungry. Some of us will be somewhat mutated. You can bet we’ll be in a sour mood. Not only that, once they get to this island, we have to find a way to get into the impenetrable seed bank. Hopefully one of the survivors will be the handy bearded fellow from the Canadian tire commercials. 3. Someone has to tell the mutants not to eat the seeds. Seeds are for planting. Good Darmok….that’s right…put the seeds down….good mutant. Good basis for a twilight zone story. Norwegian workers drilling in the mountain find the remains of a seed bank left by the civilization that we replaced after they destroyed themselves. Certainly a big shock. There was no mention of this at our big meetings in August in Vienna. A lot of botanists are asking "how could we have missed this?". There is still a lot of skepticism also. Some biochemists are waiting for more proof. A startling implication is that the amount of methane produced will increase with a corresponding increase in global temperature. When I sit and think about it, it feels like once we get the climate change ball rolling, one change will lead to a series of other changes that will be far beyond our control. The bet basketball Norwegian government will hollow out a cave on the ice-bound island of Spitsbergen to hold the seed bank. It will be designed to withstand global catastrophes like nuclear war or natural disasters that would destroy the planet's sources of food. sportsbook Seed collection is being organised by the Global Crop Diversity Trust. "What will go into the cave is a copy of all the material that is currently in collections [spread] all around the world," Geoff Hawtin of the Trust told the BBC's Today programme. march madness Mr Hawtin said there were currently about 1,400 seed banks around the world, but a large number of these were located in countries that were either politically unstable or that faced threats from the natural environment. "What we're trying to do is build a back-up to these, so that a sample of all the material in these gene banks can be kept in the gene bank in Spitsbergen," Mr Hawtin added.